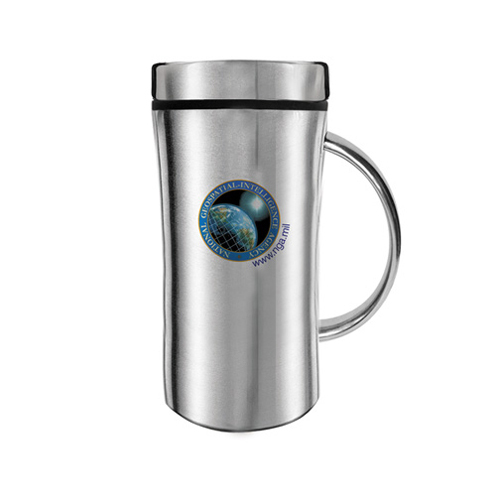 Dunhil 14 oz Mug 18/8 Stainless steel desk mug with BPA free plastic liner.Patented "S'' lid. Classic design always in style. Bulk / 24 lbs / 21 pcs. / 17x13x16box.